In the past, Muna Island consisted of two kingdoms. The names were Muna and Tiworo. Today, both of them become regencies of Southeast Sulawesi Province. For tourists, it is possible to learn some history and witness the reminiscence of Tiworo Kingdom. Where is it? As for reference, there is Tiworo Fort. The location is in West Muna Regency. It is also situated near to Kambara River. This ancient fort is worth a visit, especially those who love history and old buildings. In terms of appearance, Tiworo Fort looks old. The size is not quite big either. For many, it looks like a regular gate. However, you can find a watchtower in the midst of it. Not to mention there is a mosque. The name is Sangia Barakati. The next thing to know is the formation of trees. The fort is surrounded by plants and shady trees. Since there are no keepers, the fallen leaves are scattered on the ground. Due to this issue, the location appears dirty and unmanaged. Tourists can do many things in Tiworo Fort. For example, it becomes an opportunity to learn the history of this site. In the past, it became one of the resting areas for the kings. Today, the local government uses it as the location for an inauguration. Any new Major of West Muna should take vows and perform a traditional ritual in this location. Apart from that, the locals use it for worshipping. Thanks to the government. The fort has been renovated over time. Thus, it can accommodate visitors regardless of the type of activity. In the past, Tiworo Fort consisted of traps and big rocks. The size of this trap is quite wide, as well. Unfortunately, it was damaged over time. Many people took some of those rocks for numerous construction projects. No wonder, there were not many rocks left. If you come at the right time, you may see some locals wandering in this fort. It is said they are looking for blesses from such structure. According to the locals, the last king who lived in this fort was La Ode Pelo. At that time, the fort became a symbol of feudalism. Today, it serves numerous functions especially a vacation destination. Another thing to do is to enter Sangia Barakati Mosque. This small mosque is situated inside the fort. The last thing to do will be visiting other forts like Lakauale, Lasiapamu, and much more. Therefore, you should come with a tour guide. At least, he can help you to get around in West Muna Regency. For those who come from Jakarta, you need to take an airplane to Haluoleo Airport. 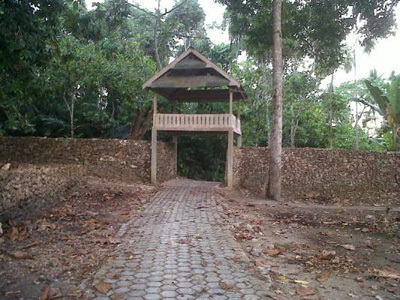 It is located in Kendari City. Next, you can simply head to Raha City and West Muna Regency. This trip takes approximately 10 hours and the distance is 188 km. For a simpler trip, you can hire a tour agency. Despite their expensive price, they will take care of everything on your behalf.